Check out our list of the best Minecraft mods you can download in 2019. Here, we've collected the best Minecraft mods, according to our experts on the game. Mods will help you get more out of Minecraft, no matter what it is you need. 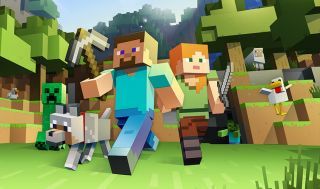 In this list, we'll collect incremental improvements to the game, dazzling worlds and entirely new types of games you can play within Minecraft. It's worth noting, not all mods are compatible with the latest version of Minecraft, and some require the installation of legacy versions of Forge to get them running. Thankfully, installing older mods isn’t too difficult. Most mods come with instructions, but if they don’t, we’ve got a mini-guide to get you up and running. These mods are great on their own, but it's worth noting that they might conflict with each other somewhat if you try and install several at once. If you do have issues with that or anything else, consider trying a preconfigured modpack out instead—the launchers provided by Feed the Beast and the Technic Platform are some of the simplest ways to quickly and cleanly get playing modded Minecraft. If you're looking for best Minecraft seeds, too, or Minecraft console commands and cheats, or best Minecraft servers, we can help with everything you need. You know what’s annoying? When you’re at the top of a mountain and see something interesting on an adjacent mountain. No one likes the feeling off having to trudge down a mountain only to clumsily stumble your way up another directly after. What this mod does is cut out the in between bits. Namely, point, click, and a rope bridge will magically appear to offer up a link between the two destinations. Yes, it’s for lazy people like me. Feel free to judge. Grab it here. Maps are great for trying to keep a rough idea of where you are or where you’re heading. That said, there’s always room for improvement. Imagine Google Maps, only for Minecraft and you’ll have a pretty good idea of what this mod does. Specifically, it lets folk view a more real-time map in-game, and on the mini-map, as well as being able to view the map online via a web browser. If you’re charting your next journey, and it’s going to take you far, far away from the sanctity of your home base, then this mod is a must. How do you fancy creating your own Aperture testing lab? Included in this modpack are a wealth of different Portal-themed blocks and, more importantly, a selection of Portal appliances, which includes floor buttons for dumping companion cubes onto, pedestal buttons, and indicator lights. So if you decide to create a nefarious puzzle challenge, all the tools you’ll need will be there from the off. A quick note: For the full Portal experience, you’ll first need to grab iChun’s Portalgun modpack first from here [Link 1]. After that, you’re safe to install Raptor’s mod-extension from here [Link 2]. How many times have you explored a new area only to be met with nothing but vast emptiness? The Millénaire mod fixes that by introducing a wealth of new content into spaces where there’d usually be nothing. Villagers are replaced by human men, women, and children, instead of the bog-standard villager. Even villages have had a makeover to incorporate 11th-century Norman, North Indian and Mayan themes. Grab it here. If there’s one thing missing from Minecraft it’s dinosaurs. Who doesn’t want to ditch creepers in favour of riding around on a T-Rex? Not only is there a massive amount of dinosaurs to spawn in creative, but in survival, the player can hunt down fossils and bring these forgotten beasts back to life. As well as a texture overhaul, there’s also a new mob boss in the Anu for those looking to put their prehistoric skills to the test. Grab it here. Okay, okay, so this one may be cheating. We’ve all seen monstrous builds online which make our 5x5 dirt house pail in comparison. But what happens if you want to turn the tables? What happens if you want an enormous city in a matter of seconds? That’s where the Instant Structures mod comes in. Simply cycle through the creative menu, drop a block, right click it, and a building will magically spawn. Structures range from castles, to houses, all the way to tram stations. Yeah, sure, it’s technically cheating, but we won’t tell anyone. Grab it here. Something has ended life as we know it. Buildings are in disrepair, and everyone has vanished, or so it seems. The Lost Cities, as the foreboding name suggests, spawns you into a city forgotten by time. The goal? See how long you can survive this post-apocalyptic wasteland without succumbing to death. If you fancy taking the survival one step further, this mod also interlinks with the Biomes O Plenty mod, meaning you’ll have a lot of stunning new areas to explore alongside the empty cities. Grab it here. Creating a biosphere, of decent size, takes around eight-hours, give or take. I know this because I spent eight-painstaking-hours making one. By the end, I wanted to chuck Minecraft into a nearby volcano. Making something spherical rather than a jagged diamond isn’t easy. Thankfully, the Biospheres mod removes all the annoying obstacles and spawns you into a world where the sky is overrun with various floating biomes. Just don’t fall off, yeah? Grab it here. The Aether (pronounced “ee-ther”) is the opposite of the Nether. While the Nether is seen as Minecraft’s equivalent of hell, the Aether is a sort of heavenly realm. Once transported via a portal, you’ll find yourself above the clouds surrounded by gorgeous, newly-designed floating islands. There’s also new mobs, including flying cows and flying pigs, some new boss enemies, as well as new block types to play with and new-fangled loot to find. Grab it here. Minecraft doesn't scale too well to the power of fast or slow machines. It runs surprisingly poorly on low-end laptops, and a high-end rig can't do much with its extra oomph. Enter Optifine—a mod that not only makes Minecraft run faster but also look far better. It supports HD textures, smooth lighting, and more, and framerate doubling is not uncommon. It's one of the first things I usually add when installing Minecraft. Grab it here. Love adventuring? This mod adds a new, densely-forested dimension shrouded in perpetual twilight that hides both valuable treasures and dangerous monsters. Throw a diamond into a pool of water surrounded by flowers to create a portal there, then spend a while roaming around. You'll find hedge mazes, hollow hills, enchanted groves, glaciers, lich towers and more with rich rewards for those that delve the deepest. Grab it here. Since the 'Update That Changed The World' in late 2013, there's been a bit more diversity in Minecraft worlds. But Biomes O'Plenty adds vastly more—75 to be exact—from brushland and coral reefs, through lavender fields and ominous woods, to tundra and wasteland. You'll need to create a new world to use it (make sure to select the 'Biomes O'Plenty' world generation option), but it's worth it to see corners of Minecraft that you've never seen before. Grab it here. Some mods add powerful magical items. Others add intricate machinery. Botania just adds flowers—but wow, what flowers. Flowers that heal you. Flowers that feed animals. Flowers that turn hostile mobs against each other. Flowers that eat cake. Oh, and did I mention that you've can also use flowers to create a magical portal to a world of elves? If you want to try something wildly different from most other mods, Botania is it. Grab it here. This trio of mods are essential quality-of-life improvements, especially when you've got loads of mods installed at the same time. Inventory Tweaks allows you to sort your chests with a single click and automatically replace tools when they break. NotEnoughItems provides you with a searchable list of all the blocks available in the game, and the recipes for crafting them, and Waila lets you point your cursor at an unfamiliar blocks to find out what it is. Grab them here, here and here respectively.